Remember a few posts ago, when I was glowing with the happiness of summer, and how the weekends were no longer filled with one event to the next? Well, I should never write something like that without holding my breath, crossing my fingers – or knocking on a whole bunch of wood. Even though the kids events have slowed down (I say that, and then I think about the swim meets twice a week), everything else in my life has gone completely out of control for a variety of reasons. I am getting stressed just thinking about all the fruit I bought last week at the farmer’s market – having all intentions of making tons of jam – but that has not happened. There is always next weekend, right? So, what do you make when you are super busy, but having people over for dinner? Fortunately I am not in this predicament tonight (that would really throw me over the edge), but a few weeks ago – this was my life. It sounded like a great idea a month before when I arranged everything – but then the date finally came, and I was seriously in a bind. My husband was all set to grill, which was awesome, but I was in charge of the sides. 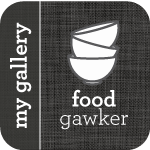 I immediately thought about some slaw – but I wanted to make sure it was really easy, and tasted fresh. Not that I had time to do this, but I looked through a few of my cookbooks, and decided I would just wing it. 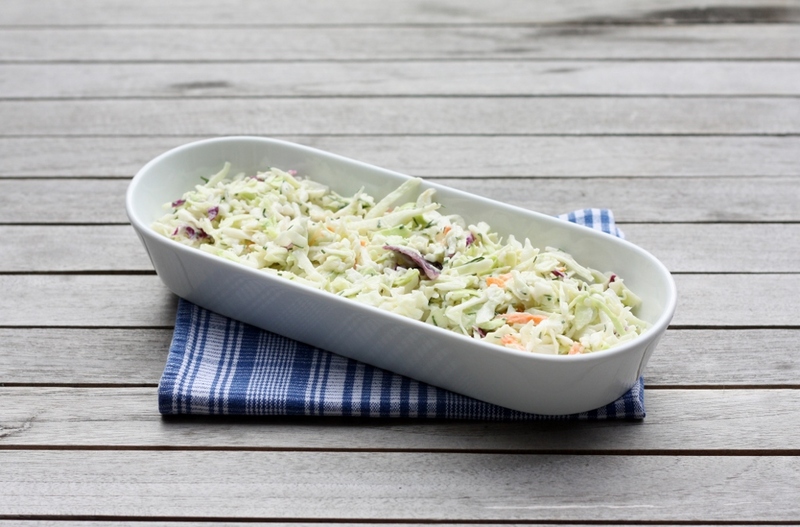 I had some fresh dill in the refrigerator that was looking right at me, and so I decided on a Dill Cole Slaw. Wow was that perfect. 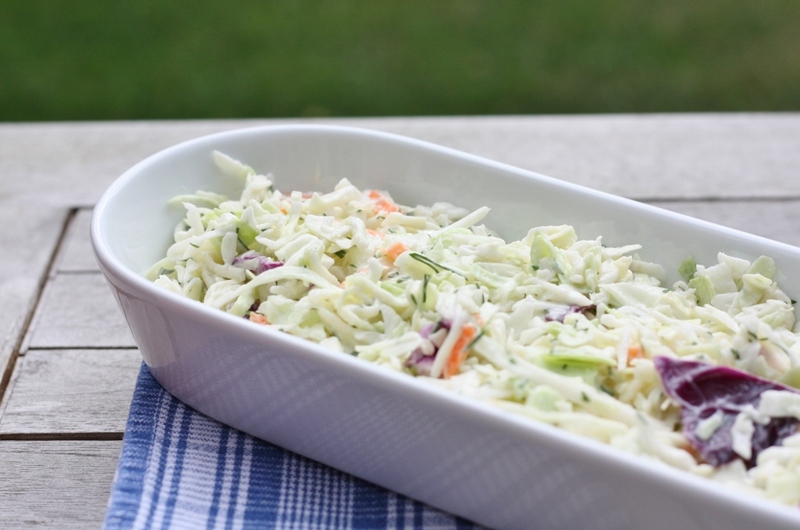 I just loved the Cole Slaw with that nice fresh dill flavor – and it seriously only took me 5 minutes to make. Of course I cheated a little with already pre-chopped cabbage, but there are some shortcuts worth taking. I hope that you are having a nice relaxing weekend – but don’t fret if you are not – here is a simple recipe to make your life just a little bit easier. At this point, we should all take what we can get! When you have kids the word relaxation is usually not in our vocabulary. I love an easy slaw and the pre-cut is awesome I wish that HK would get some shipped here. I always have to do everything from scratch here as they don’t have the convenience things here.